Go "Knots" with 7 creative projects! 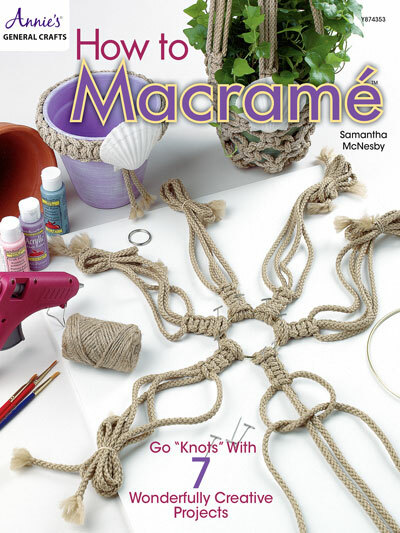 Learn basic macrame knots with this great book. Pattern includes written instructions as well as step-by-step illustrations. 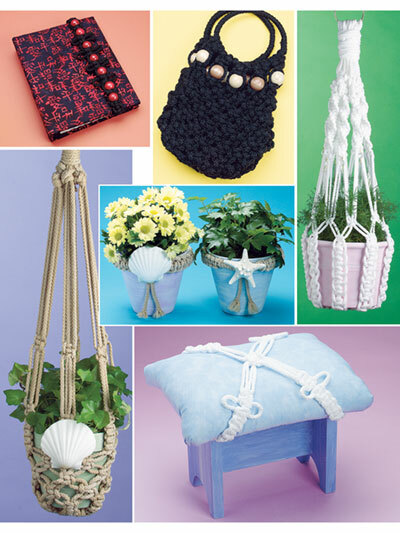 7 easy projects include flowerpot embellishments, plant hangers, tote bag and more. Brought back memories...I did macrame many years ago but need a refresher course. This is the book to do it plus will be great for beginners! I use to do macrame, enjoyed it, in all my moves I lost my macrame book and now they are hard to fine. So I ordered this book as soon as I saw it. macrame is a great stress reliever. so I do think any one who orders this book will enjoy it.